Give the illusion of soft scrolling motion with this Fancy Scroll Silver Unity Candle Holder. Our 13" wide stand features a simple curved design with room for a 3" unity candle and two tapers. The ornamental pattern of the stand allows both individual tapers to be suspended at the same level as the unity candle. 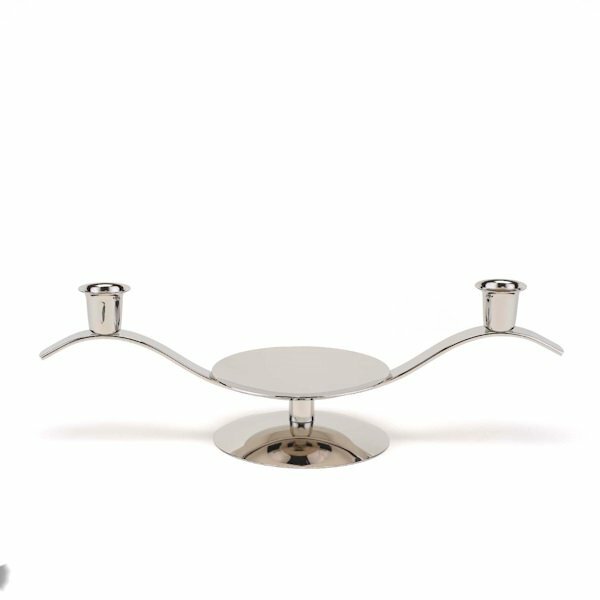 The metal stand is silver plated and measures 3-3/4" tall at its highest point. Please note: candles are not included.